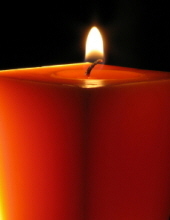 John Wood Farley, age 69, of Boston, formerly of Nashua, NH, died at Care One at Brookline on Friday, March 29, 2019. Born in Evanston, Illinois on July 16, 1949, he was the son of the late John Farley and Renee (Blunt) Teas. John leaves behind his partner, Cecilia Silva of Boston, two sisters, Dr. Jean Bellows of Lexington and Elizabeth Farley of Derry, NH, as well as his nieces and nephews, Matthew Bellows and his wife Ruth, Nathaniel Bellows, Khristen Bellows, Phillip Rebillard and Paul Rebillard. He was the brother of the late Ann Rebillard and Stephen Farley, and was recently preceded in death by his brother-in-law, Dr. Arnold Robert "Bob" Bellows. Burial at Edgewood Cemetery in Nashua, NH is private. In lieu of flowers, donations in his memory may be made to the ASPCA (www.aspca.org). "Email Address" would like to share the life celebration of John Wood Farley. Click on the "link" to go to share a favorite memory or leave a condolence message for the family.